“Periodontics” refers to a type of dentistry that focuses on all matters that pertain to tooth structures. If you suspect that you have any problems that involve tooth structures, the assistance of a periodontist may be essential. Periodontists are experienced dental professionals who are highly skilled in non-surgical, laser and traditional periodontics treatment options. If you’re someone who has any concerns whatsoever that involve the structure of your teeth, then it’s time to look for help from a qualified and seasoned periodontics expert in the area. Inflammatory conditions can be highly destructive to the gums. They can also harm structures located right by the teeth. If you’re looking for trusted periodontal treatment in sun-kissed Boynton Beach, Florida, you’re totally in luck. That’s because Boynton Laser Dental Center is a local clinic that specializes in periodontics among numerous other dental specialties. Our office’s many available dental services include laser dentistry, dental implants, restorative dentistry, cosmetic dentistry and teeth whitening. 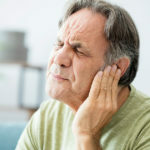 Patients frequently visit Boynton Laser Dental Center for the treatment and management of conditions such as sleep apnea and TMJ (temporomandibular joint disorder) as well. It doesn’t matter if you need in-depth periodontal assistance or if you need comprehensive laser dentistry. Our staff at Boynton Laser Dental Center can cater to all of your dental requirements and beyond. Our center is Dr. Harvey Shiffman’s office. Dr. Shiffman has been a dedicated dentist in the area for more than thirty years. People who have periodontal concerns can turn to Boynton Laser Dental Center for a broad array of treatment options. If you have periodontal disease that hasn’t yet gotten the opportunity to advance, we can offer you periodontal therapy that doesn’t call for surgery. If your case of periodontal disease is a bit more complicated, we can offer you surgical therapy. We work hard to strengthen tissues before conducting surgery on our patients. We also always strive to minimize surgery needs to the best of our ability. Some examples of our treatment techniques include root planing, gum grafting and reduction surgery. If you want to know more about osseous surgery, tissue regeneration, bruxism management or scaling, we can give you all the details you need. We are bona fide periodontal specialists here at Boynton Laser Dental Center. Necessary periodontal surgery can be advantageous in a variety of ways. It can deep clean your teeth. 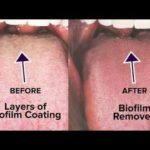 This cleaning deconstructs bacteria and replenishes gum and mouth health. It eradicates bacteria and also stops future destruction from taking place. Periodontal surgery can also stop disease. Once this surgery manages bacterial infection, it encourages normal oral hygiene. Periodontal surgery, last but not least, can also bring back healthy operations of the mouth. It enhances the well-being of the gums and teeth. Intense pain frequently influences correct mouth operations. Periodontal surgery, however, has the ability to do away with any bacteria that can lead to this kind of excessive and unbearable pain. There are many potential periodontal surgery advantages available to patients. Boynton Laser Dental Center also offers cosmetic periodontal surgery to patients. If you’re trying to find a respected local clinic that specializes in cosmetic periodontal issues, that’s us. People who have worries that involve root surfaces that are visible frequently turn to cosmetic periodontal surgery. People who have concerns that involve root surfaces that are particularly sensitive or visually unappealing frequently turn to this kind of surgery as well. Boynton Laser Dental Center mixes cosmetic dentistry and periodontal treatments to help patients conquer these troubles. People who believe that their teeth are overly short often consider cosmetic periodontal surgery. Teeth that look short aren’t necessarily short in reality. They may just be hidden by an inordinate amount of gum tissue. If you believe that you have excessive gum tissue, Boynton Laser Dental Center can save the day. We can offer you the finest crown lengthening treatment in the region. This treatment can be beneficial for patients who want their natural teeth to be more prominent. If you want an enviable smile in Boynton Beach, our cosmetic periodontal surgery assistance may be optimal for you. If you’re looking for periodontal treatment in a kind and friendly setting, there’s no greater clinic than Boynton Laser Dental Center. Dr. Shiffman is a seasoned dentist who is known for his amazing and personalized periodontal care approach. Our staff members are incredible, too. If you want assistance from some of the most detail-oriented, thoughtful, compassionate, patient and knowledgeable professionals around, Boynton Laser Dental Center will make you smile wide. Call our dental practice as soon as possible for more information about our periodontal treatment. You can call us to learn about all of our other available dental procedures, too.